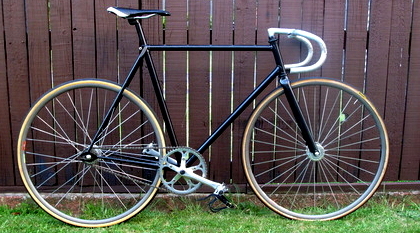 My friend from New Zealand sent me a picture of his new fixed gear built up that I find really nice. And he is going to do more. This entry was posted on Mittwoch, Dezember 16th, 2009 at 16:26 and is filed under Asia, Fixed Gear. You can follow any responses to this entry through the RSS 2.0 feed. Both comments and pings are currently closed.